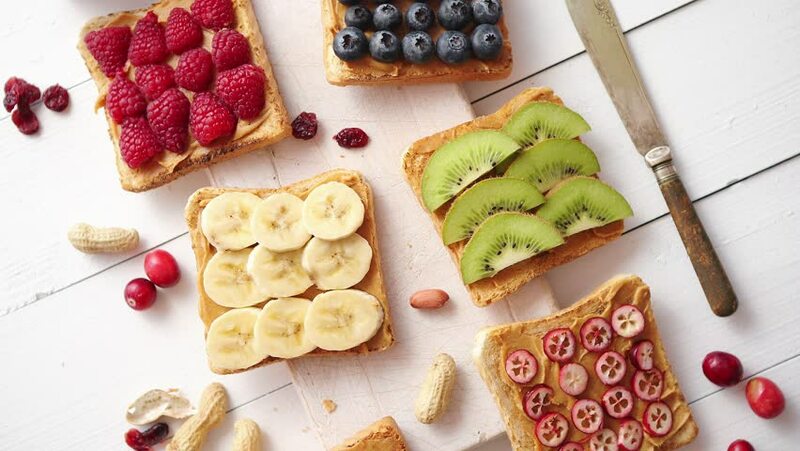 Assortment of healthy fresh breakfast toasts. Bread slices with peanut butter and various fruits and ingredients on side. Placed on white wooden table. Top view, with copy space. 4k00:29Assortment of healthy fresh breakfast toasts. Bread slices with peanut butter and various fruits and ingredients on side. Placed on white wooden table. Top view, with copy space. 4k00:30Assortment of healthy fresh breakfast toasts. Bread slices with peanut butter and various fruits and ingredients on side. Placed on white wooden table. Top view, with copy space. hd00:14Hands taking pizza cuts from wooden table. Top view. hd00:14Biscotti with pistachios and cranberries.